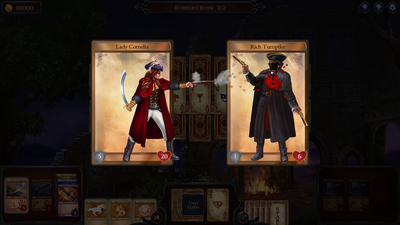 Shadowhand is a strategic RPG card game. 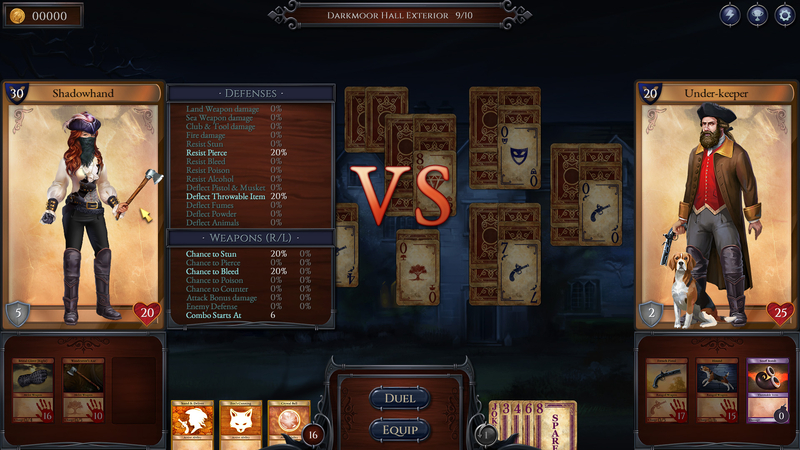 Duel powerful enemies with unique solitaire-style turn-based combat. Equip your character strategically to sneak, slice and blast through foes! We follow the story of Lady Cornelia Darkmoor, a beguiling young aristocrat who masquerades as the notorious highwaywoman, Shadowhand. 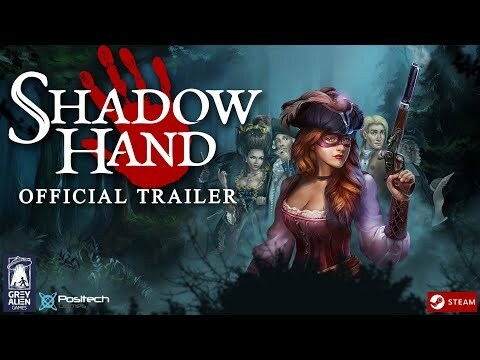 Fleeing a crime scene and forced to act under the cover of darkness, Shadowhand's mission to safeguard a woman she holds dear leads to a web of corruption, smuggling and blackmail. Combining an historical visual novel narrative with a card-driven RPG, Shadowhand's story spans 22 chapters of atmospheric locations including stormy coastlines, mysterious woods and gloomy manors. Featuring over 150 levels of elegant and intense single-player card action, players must dodge the law and brawl with outlaws in turn-based combat, gaining abilities to customize their character and collect new weapons, gear and loot. Blending solitaire with role-playing, combat and a racy, buccaneering plot, Shadowhand is a delight - and a true British eccentric. ShadowHand takes an old game with a reputation for dullness, and dresses it up in an elegant Victorian English RPG coat. Somehow miraculously, it works really well. It isn't a reinvention of the wheel, but the sense of personality the game pack in addition to being simply fun definitely makes it worth the time and money.